Hello friends! I’m so excited to share the fun I’ve been stitching up from the wonderful new book, Weekend Quilting, by the talented, Jemima Flendt! Jemima is a gem of a talent (I’ve been in love with her patterns for years!) and a dear friend, and I’ve been eagerly awaiting the arrival of Weekend Quilting! As soon as the book arrived, I cozied up with a cup of tea and savored all the beautiful projects for a long while. The pages overflow with a creative assortment of darling quilts that can be finished in day or so – and Jemima shares so many wonderful techniques (and several new ones for me that I can’t wait to try)! 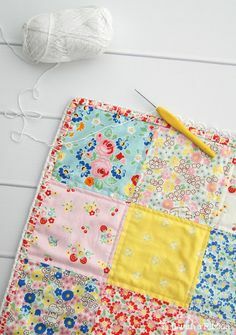 I decided to start with the Blooms Mini Quilt from the book – it’s a perfect pattern for using scraps and I thought it would pair sweetly with the floral scraps I’ve been saving from my upcoming fabric collection, Little Dolly. As I was making this mini quilt, it felt like it was literally blooming with each added flower and leaf appliqué. 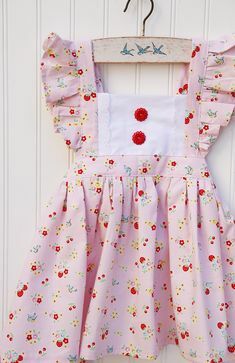 I added a dash of red with polka dots to my “fabric” garden, too. I love that this mini is round and is perfectly sized for hanging in my studio. Plus an unexpected bonus: with a few leftover flower appliqués, I created some sweet little gift tags with one of my favorite quotes that reminded me of this quilt. Now that this sweet project is complete, I’m eager to start the next! 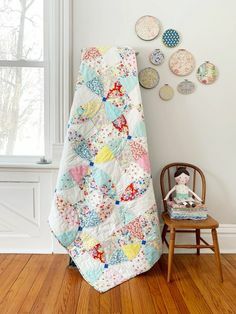 The main quilt on the cover – the Sparkles Mini Quilt – is tugging at my heart in a big way next! P.S. I wanted to show you these really neat Weekend Quilting Planner Cards Jemima created and was so kindly sharing at Quilt Market. What a brilliant idea to help plan out the projects from her book and to serve as a reminder on what fabrics were used, etc. Though we’re on two different continents, I had an opportunity to collaborate with her on designing the cards and it was a highlight to see them (and her!!) at Quilt Market. Thank you for stopping by for a peek at my stop on Jemima’s lovely book showcase for Weekend Quilting. 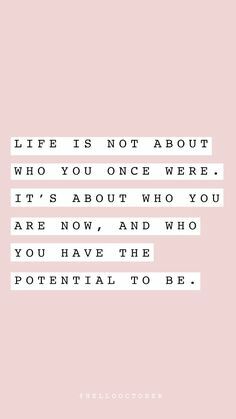 I’ve been so inspired by all the gorgeous projects I’ve seen on the book tour from an amazing group of ladies. Be sure to check out each stop on the tour with highlights on Jemina’s blog and Instagram. A list of all the participants on the book showcase are below. And, many, MANY thanks to Jemima for all her talent and inspiration bringing this lovely book to life for us to enjoy! « Made for Baby Blog Tour & Bow Tie Card for Father’s Day! This quilt is just perfect with your new fabrics Elea! The blossoms and flowers are just stunning!! That is just so beautiful! It’s the perfect t marriage of a great pattern with beautiful fabric. I love the planner cards! I’m going to have to add this book to my library. Looking forward to your new line hitting the shops a well! so very cute — and the gift tags are extra sweet!